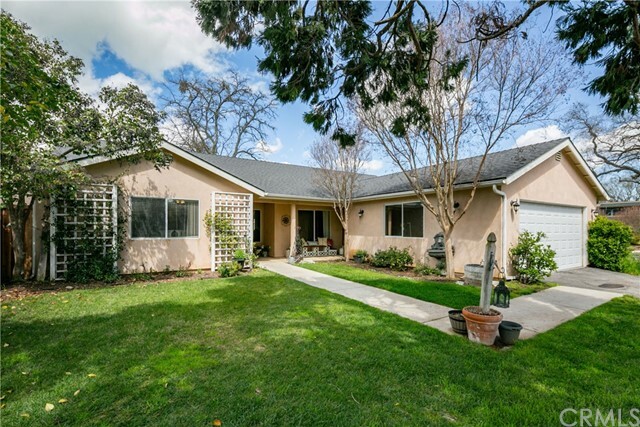 All Santa Margarita homes currently listed for sale in Santa Margarita as of 04/25/2019 are shown below. You can change the search criteria at any time by pressing the 'Change Search' button below. If you have any questions or you would like more information about any Santa Margarita homes for sale or other Santa Margarita real estate, please contact us and one of our knowledgeable Santa Margarita REALTORS® would be pleased to assist you. "84+/- beautiful acres with an architect-designed, eco-friendly lake view home. The custom house blends high- and low-tech features into an elegant, efficient, and extremely comfortable residence. The home backs to land surrounding public Santa Margarita Lake with its miles of trails for scenic recreation. The solid wood front door invites you through the foyer with its courtyard view into the living room with breath-taking panorama of the lake. The polished concrete floors with walnut baseboards include radiant-floor heating and act as thermal mass for passive solar heat storage in winter. The kitchen has quartz countertops, maple and walnut cabinets with easy-close hardware, stainless steel appliances, 5-burner stove with high-end hood, center island with sink, walk-in pantry, cutting boards, and more. The master bath has quartz counters, tub, and walk-in shower with two shower heads. There is a laundry room with a deep sink, equipment room, and mud room. The entire home and barn have whole-house reverse osmosis filtered water. The 40 x 40 shop has an RV door, car door, bathroom, free Wi-Fi, upstairs storage area, and outside veranda. A large flat area of land provides room for a future arena, vineyard, orchard, barn, or other. The property has two wells, two water tanks, two septic systems, three electric meters, backup generator, and three propane tanks. Everything you need for luxurious country living!" "The quintessential ranch. With 280 acres to ride and explore the grandeur your own private valley and hillsides. Views over the surrounding White Ranch of approx. 30,000 acres in preserve. This is country living in it's truest form. 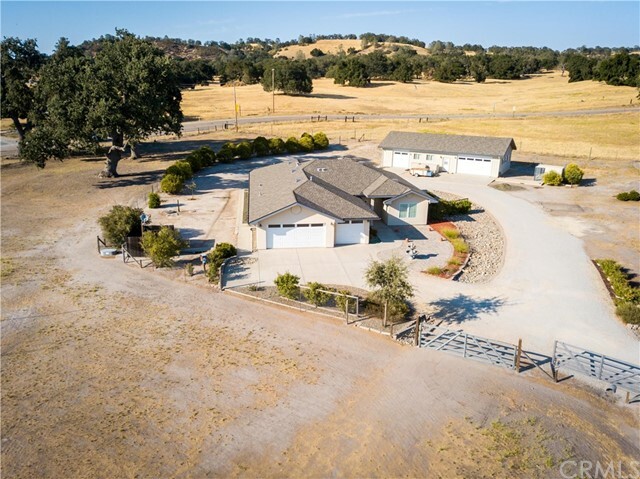 First time on the market, this once in a generation incredible opportunity to own a large private ranch in the Creston area ranch near Wilson Corner (Santa Margarita address) with endless possibilities. This off-the-grid 3400 square foot 4 bedroom, 3 1/2 bath home speaks of country charm with newly replaced extensive decking, salt box design and large rooms throughout. The converted two car garage/game room are attached as well as an RV garage. Additionally, there is a 1400 sf, 2+ bedroom detached guest house found above an oversized garage for all your toys. Also available is a manufactured home for possible additional income or family. Multiple building sites are scattered across the ranch with incredible potential views. 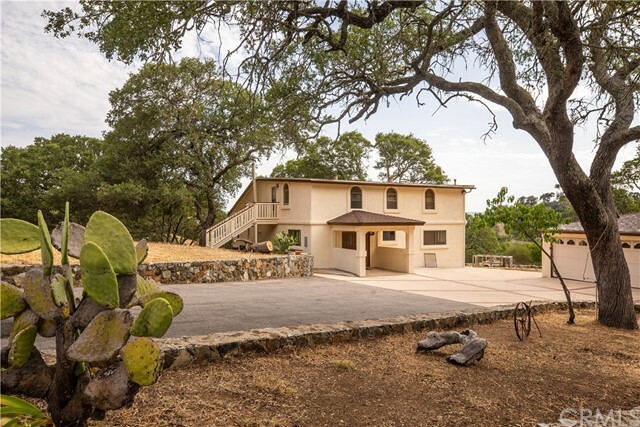 Make this your private retreat, horse or cattle ranch. Outside of the Paso Robles Groundwater Basin." 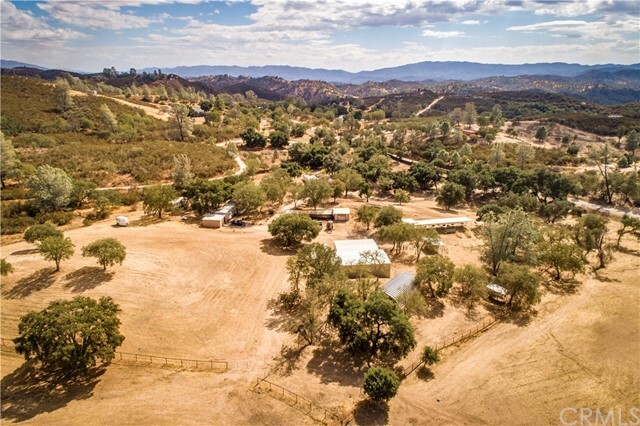 "Amazing opportunity to own the 238 acre Titania Ranch with two homes and abundant water in Santa Margarita! This unique property borders SM Lake Park with lake views from two separate homes. The 2 bed, 2 bath main house is completely remodeled with loft, concrete floors, custom cabinetry, barn door, soaking tub, and more. French doors lead out to a beautiful deck to relax and take in the spectacular unobstructed views. The second home is a 3 bed, 2 bath double wide mobile home with bamboo floors, screened in porch, full kitchen, laundry area, deck with amazing views and more. Home is currently being used as a vacation rental. Working barn has four 16x24 foot stalls and one larger foaling stall. Two horse runs are adjacent to barn. 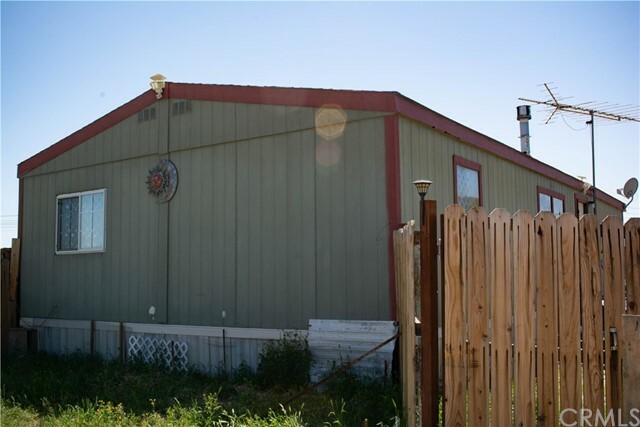 Large workshop, storage area, tack room, round pen, Mare motel, and wash racks make this the perfect horse property. 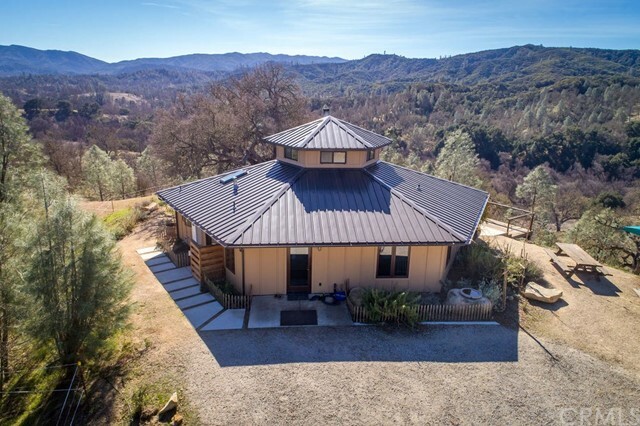 Property also boasts two arenas, nine pastures, 4 5,000 gallon water tanks, fencing, year round creek, and irrigation are just a few of this amazing properties features. Property contains two separate APNs. The second smaller parcel is zoned AG and is not buildable but is perfect for mountain biking, hiking, and horseback riding. The work and play possibilities are endless! Don't miss out on this once in a lifetime opportunity to own this amazing ranch." "Outstanding ranch only 10 minutes from downtown Santa Margarita and 30 minutes from San Luis Obispo. Main residence is very well maintained 3 bedroom 2 bath home with beautiful hardwood doors, stained glass windows and an open floor plan. 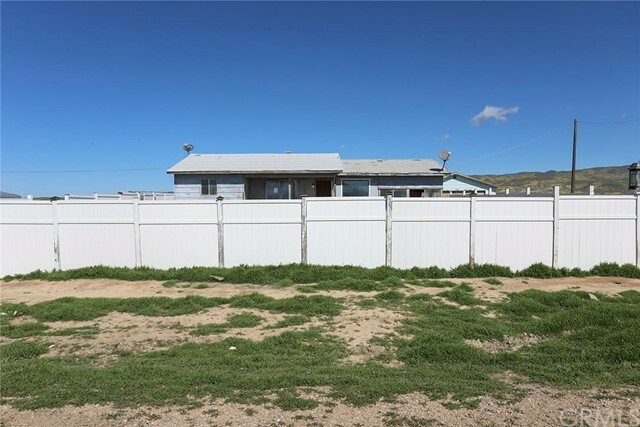 Property also has a manufactured home consisting of 3 bedrooms and 2 bathrooms. The Owners have invested over $300,000.00 in two solar systems, multiple barns, pipe fencing, carriage house, two green houses, hay barns, etc. Please view attached supplements for entire Property Details List. The property has over 25 acres that could be subdivided. Very peaceful and private setting with 360 degree views of the Temblor Range and Santa Lucia's. Property is perfectly set up for multi-generational living and offers an abundance of Fruit Trees, chicken coops, pastures and greenhouses to provide food sourced from your farm. The two Solar Systems are owned, not leased, and provide over 80% of all power to the property, per the Sellers. Come see this special property on the Central Coast!" "Rare opportunity to own a 28 acre property approx. 10 minutes north the city of San Luis Obispo. 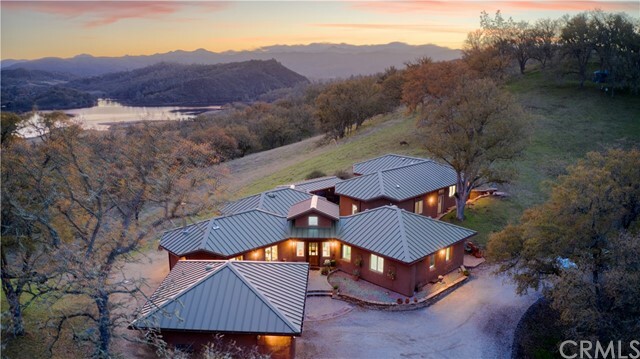 Enjoy the peaceful natural setting of rolling hills dotted with mature oak trees, privacy, endless views, abundant wildlife, private pond, all within a short distance to both Santa Margarita and SLO. The central location provides you easy access to the coast, wine country, recreational areas, outdoor activities, and everything the central coast lifestyle has to offer. Multiple improvements include a move in ready home, 3 car garage, storage structures, fully paved driveway, 3 wells, and 2 storage tanks. Check with San Luis Obispo County Planning Dept. regarding additional development options and vacation rental licensing. This property would make the perfect peaceful getaway, vacation rental, or full time residence. This is a must see in person to experience everything this property has to offer!" "RECENT PRICE CORRECTION on this Extremely Rare Opportunity to own Santa Margarita acreage within the Urban Reserve Boundary Lines! This unique ranchette is easily within walking distance to the charming and iconic town of Santa Margarita. Near to the town park and community center and Santa Margarita Elementary. Enjoy life in small town rural while you celebrate being a member of this quaint and sought after community! 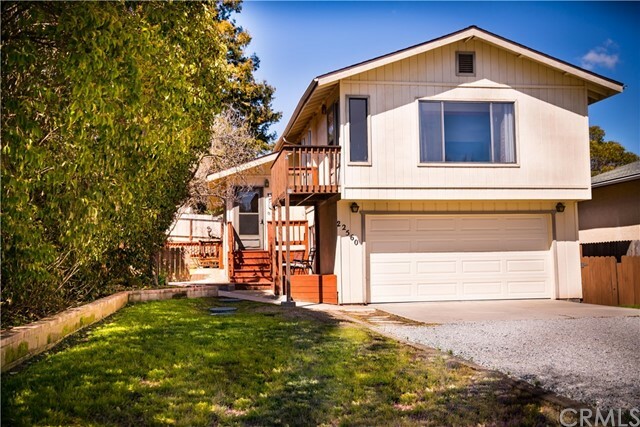 Centrally located, with easy access to North County and an extremely convenient 9 mile hop and a skip to San Luis Obispo! 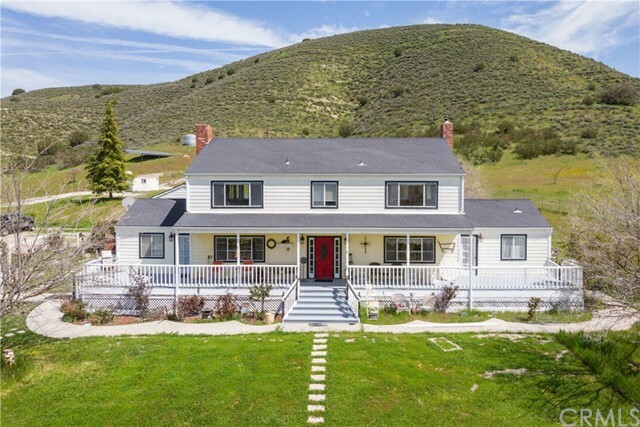 This extremely clean 4 bedroom, 3 bath ranch home with 3 car epoxy floor garage rests on 3.6 fenced acres with the tranquil rolling hills of Santa Margarita Ranch as it's backdrop. Fireplace Extraordinaire Wood Burning stove w/ Heatilator for efficient heating on winter nights. Central Heating and Air. Great value in the 1500 s/f workshop as well. With airlines run throughout, add your own compression system to utilize the benefit of this clean and functional shop with 2 garage doors, 2 seperate AMP panels, and epoxy floors as well. Buyer must verify with County and Public Works, but 1200 square feet of this already split divided shop meets specifications to be retrofitted as a guest unit and could add residential income value! Appx 10 X 15 dog kennel and fountain at entry included. Septic system, leased propane, and public water supply. Pest Section 1 and 2 completed in September. New gutters installed 09/07/2018. Information not verified." "A Dream Come True!! !This beautifully appointed 3264 square foot log home has everything you need for a country lifestyle! 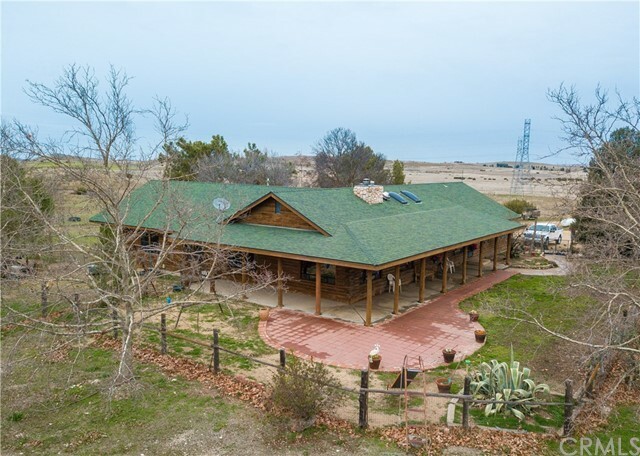 Located on 67 usable acres with panoramic views of the Carrisa Plains and the Temblor Mountain Range, this home has a magnificent Plains stone fireplace in the huge living room with gorgeous beamed ceilings. The kitchen and dining area are accented by huge wooden beams overhead, beautiful solid wood countertops and bar with room for a very large dining table, plus a cozy parlor nook with a woodburning stove for those rainy nights! The south wing has two bedrooms and a rustic bath with tile counters and tub/shower. At the end of the wing is the master suite, large and warm, with beamed ceilings and room for a sitting area as well as a small accent alcove with outdoor access. The utility wing sits to the north of the kitchen great room, with a mudroom with pantry and its own entrance for those muddy boots! Here there are two offices, both currently used as guest bedrooms. The full bath located adjacent makes this a wonderful guest or mother-in-law quarters as the loom alcove would make a walk-in closet! And that is just the house!!!! Outside is a 24x24 carport, an inground lined pool securely fenced, a 12x15 pool house, a 7x8 tree house, 3 bay 38x40 RV garage with center bay large and tall enough for any RV! Plus a 30x40 shop with concrete floor and a 50x50 red iron hay barn, clearspan with a wall to the west and the weather!" "Such a wonderful small street with it's very own park! You and two other owners will share the beautifully landscaped lawn area, the playground equipment, raised beds for gardens and eggs from the chickens! The perfect blend of rural and city living. With almost 2000 s.q ft. of living space, this lovely single-level 4 bedroom, 2 bath home is tucked away in a serene setting overlooking the Santa Margarita Ranch. Ideally located near the freeway, your commute to San Luis Obispo is less than 10 minutes. Or, going north, you're a quick 20 minutes from Paso Robles. The charming stores and restaurants of Santa Margarita are only a block away. This is a rare opportunity that is priced to sell quickly. Plan a showing soon to experience the special appeal of this unique property." "These 11+ private and peaceful AG. acres in West Pozo are some of the most amazing I've seen. The property has a large seasonal creek that runs on one side, there are rock outcroppings, with views that are absolutely beautiful from every direction. Horseback riding, and hiking are nearby, River Road has a trail to Santa Margarita lake. The 2002 manufactured home has an open feel with the master on one side, and two bedrooms on the other. This property includes a LARGE red Barnmaster barn, with a loft, and tack room. The chicken coup is fenced in. The back of the stick built garage is separated by a step up, and could be used as a guest unit. Sellers have taken off the older mobile at the top of the property, you should be able to use the square footage from that mobile to save on permit cost if you want to put a new manufactured home there, or build a home. The utilities are there. Lots of usable land, there is 2 fenced in areas for the horses. The square footage on tax records includes the mobile that was removed. Check out the video attached to this listing! The manufactured home is on permanent foundation, it can be purchased with 3% down according to a local lender." "No occupancy since remodeled! An adorable 1,500 sf home in quiet residential area on a dead end street. Move-in ready. 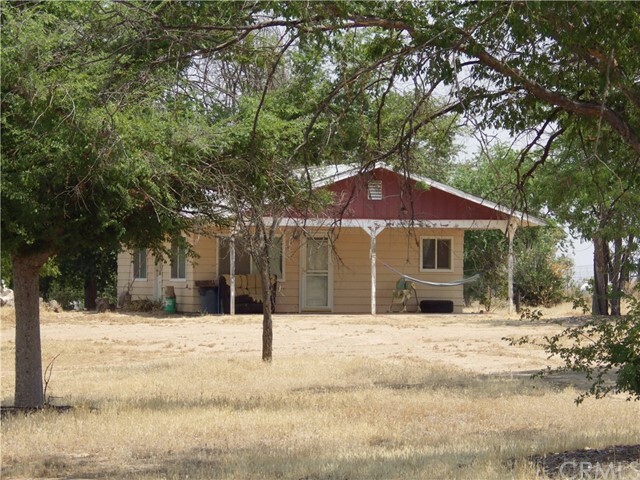 3 bedrooms & 2 bathrooms on almost acre flat parcel. MOSTLY EVERYTHING is new/newer. 28 x 24 building in back with good bones; can be converted to garage, shop, storage, whatever. Most of property is fenced. Magnificent huge shade trees. Take your time to create your perfect yard-design. 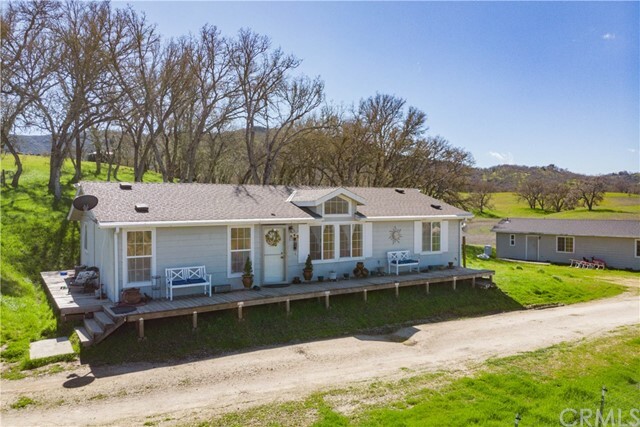 Perfect rural living half-way between SLO and Atascadero-Paso corridor." "Turn-key single level home in the quaint town of Santa Margarita. 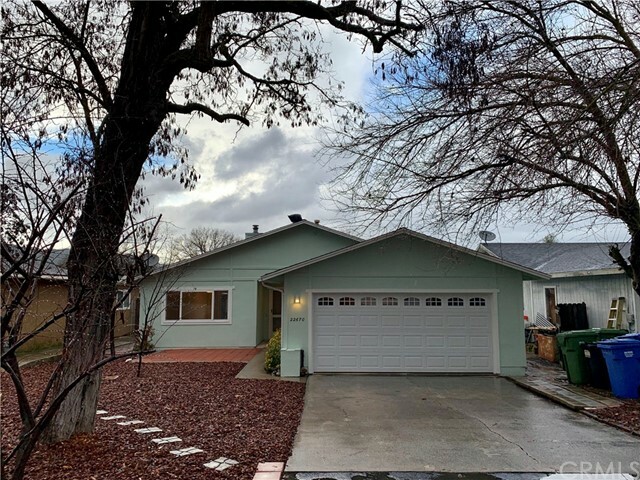 Just 10 minutes from San Luis Obispo, this home is move-in ready with updated features such as quartz counter tops, brand new stainless steel appliances, new flooring and fresh paint throughout! There is a free standing wood burning stove in the living room that is inviting and adds charm. The ample sized backyard is perfect for gardening and entertaining. The entire area is fenced and backs up to an alley way behind the home. Situated in the backyard is a shed which is ideal for a hobby shop and additional storage. The attached garage is clean and the interior walls were recently dry-walled. This is a wonderful opportunity to live in one of the most iconic rural towns on the Central Coast!" "Welcome home to the quaint town of Santa Margarita! This tri level 3 bedroom and 2 bathroom home has 1560 square feet of living space - making it one of the larger homes in the heart of Santa Margarita. Enjoy the natural light which enters the home and shows off the recently painted walls and real wood floors. This home has a wood burning fireplace to take the chill off in the winter and a full house fan to cool things down during the heat of the summer. The master suite has newer sliding glass doors that lead you to the beautiful backyard. The backyard has a large grassy area, mature landscaping large deck, pergola and built in benches. It is perfect for relaxing or entertaining. Enjoy the new fencing and use the gate to enter the easement behind the home. This path leads directly to the tennis courts, basketball courts and library! The location is ideal as it is just a few minutes from the 101 Freeway and a 15 minutes drive to Cal Poly. It is situated perfectly for commuting to work or school." 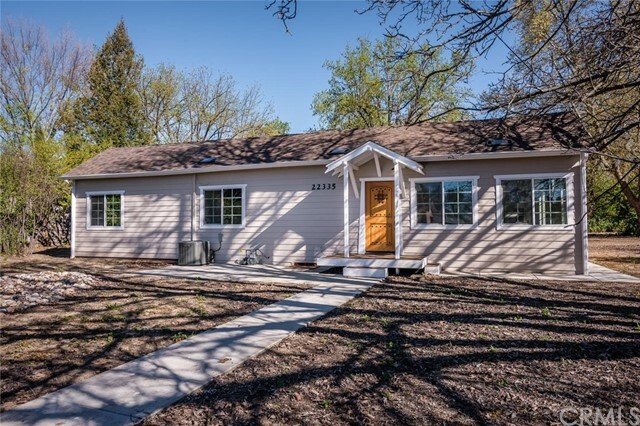 "Great ranch home available on the West side of California Valley. 1830 square feet with three bedrooms and two bathrooms. Enjoy cozy nights in front of the fireplace or get together in the spacious living room. Great storage in the attached garage and washer and dryer are inside for ease of use. Sold with adjacent 2.5 acre lot for a total of 5 acres, APN 082-031-027"
"This listing consists of 3 parcels making up roughly 17+ acres. Manufactured home with a transferable title. The property is being sold as-is and the owner is very motivated. The current well is pumping salt water but there is another well on the property that is not hooked up. The home is hooked up some solar but the amount of electricity produced is unknown." 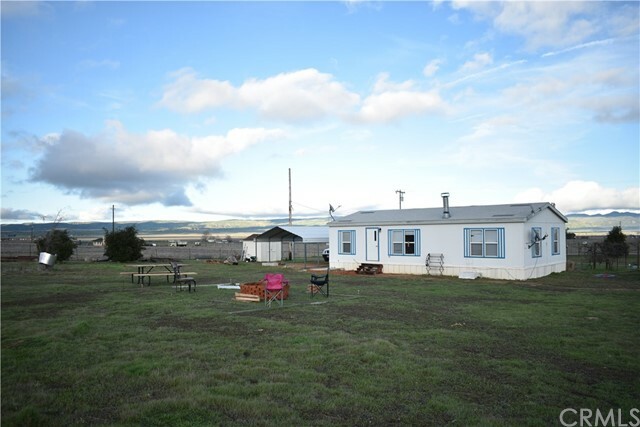 "One of the few little homesteads in California Valley with just about everything you need!! This one won't last long. Great little 720 sf cabin with one bedroom, one bath, a kitchen and living room. Cabin will need your TLC and many updates, but its a great start. The property has newer septic, a new well, metered electricity, several trees and a large cement floor metal shop (approx 1000 sf). The seller is excluding the windmill and one tank from this sale. Come start your California Valley life at this gem of a property in the high desert or Carrisa Plains. This will most likely need to be a cash sale as it may not qualify for lending. Contact your agent today!!" 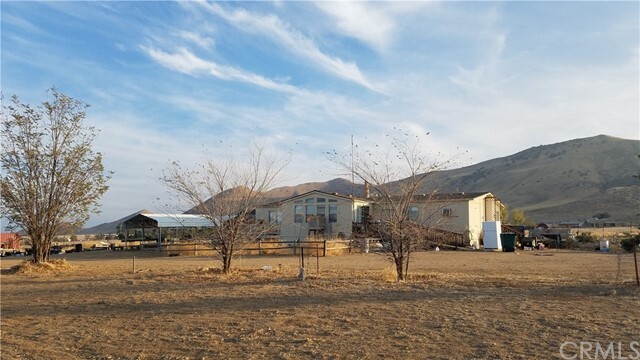 "Come take a look at this 5 acre homestead in California Valley. 2 separate lots (each 2.5 acres) connected and bordered by Del Ray on one side and De Sabla on the other. Multiple out buildings, a carport, mobile home, separated animal fencing and 2 functioning wells! 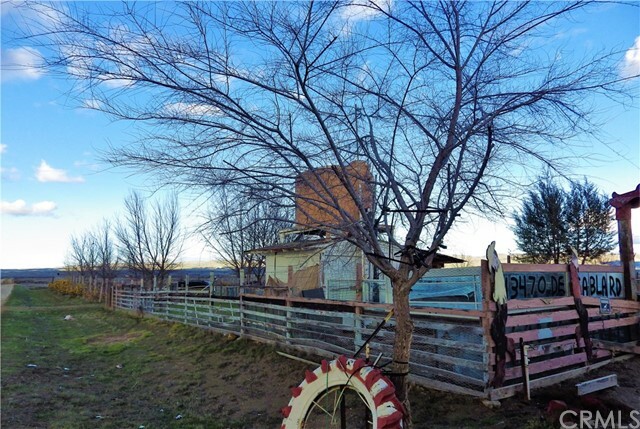 With a little love and effort this property can be brought back to its full potential and become a great family ranch or homestead. Talk to your realtor about setting up a time to see this property and California Valley." "PRICE REDUCTION! You won't find anything this nice for this price. Come to California Valley and make this little homestead yours. With beautiful views and wide open sky, the valley is a growing community. There is a library and elementary school here and lots peaceful privacy and future potential. 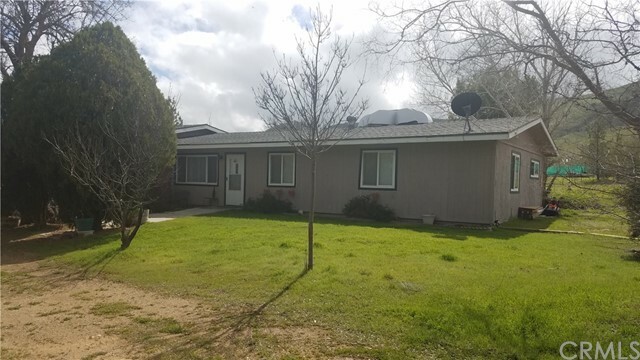 This 3 bedroom 2 bath home is perfect for a starter family or as a weekend getaway close to BLM land and the Carrizo Plains. With 2.5 Acres you will have plenty of space for animals and/or gardening. There are several established trees already, a carport, and a picnic table. The wild flowers are in full bloom and are simply an amazing sight. Have your realtor set up an appointment to see this home today!" "Everything you could want for your own ranch just needs a little tlc. 1640 Square foot manufactured home on permanent foundation with excellent Roof. Two spacious bedrooms and bathrooms. Large living room with front and back patios. Bonus office space and extra large pantry. Privacy fenced back yard off the laundry room. Two Rv hook up locations with power and septic hookup. Shop with 220v and two covered working areas and a dug out working bay. 3000g storage tank and booster pump. All tree's on drip system. 2.5 Acre lot fully fenced with two gates. Horses and chickens okay." "2.5 acres in California Valley. Needs some TLC, 3 bedroom 1 bath home with detached 2 car garage. Minutes from the Carrisa Plains National Monument."